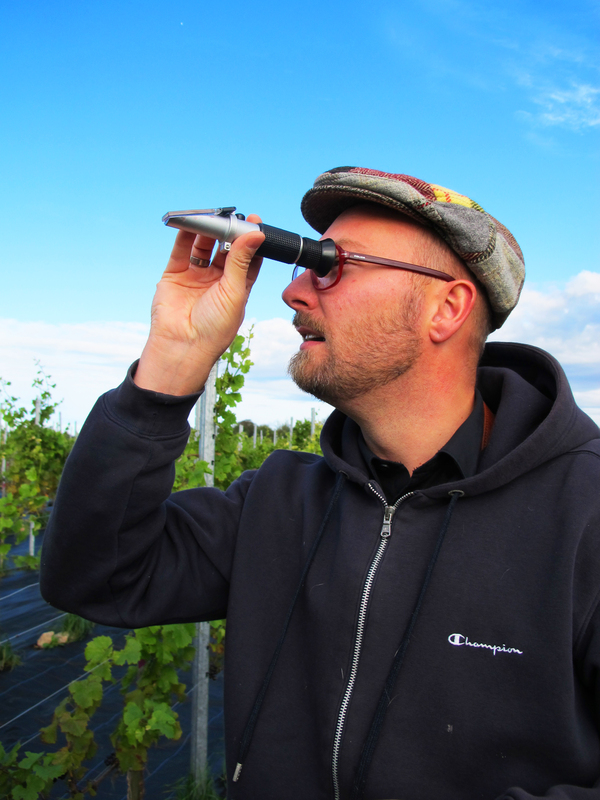 I recently wrote an article for www.thelocal.se (the Swedish news in English) about the developing Swedish wine industry. Before stumbling upon a bottle of Swedish rosé this summer at the local systembolaget (the government controlled liquor store) it hadn’t even occurred to me that Swedish vineyards exist. And then as it turned out my husband’s co-worker has a small vineyard. 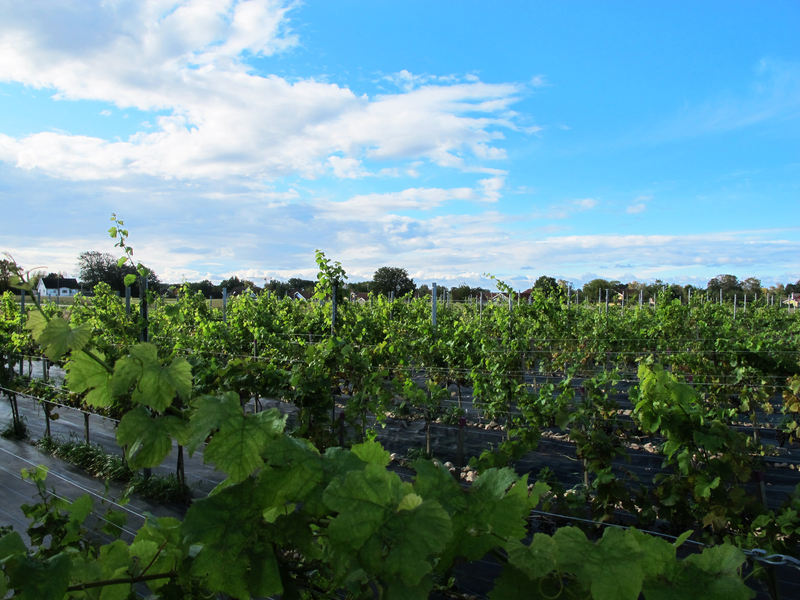 What better way to learn about the Swedish wine industry than to get out into the countryside and visit a Swedish vineyard? So we headed to the Bjäre peninsula which is a popular summer destination for Swedish tourists. Vejby Vingård is the venture of a young architect couple, Jeppe and Nina Appelin. 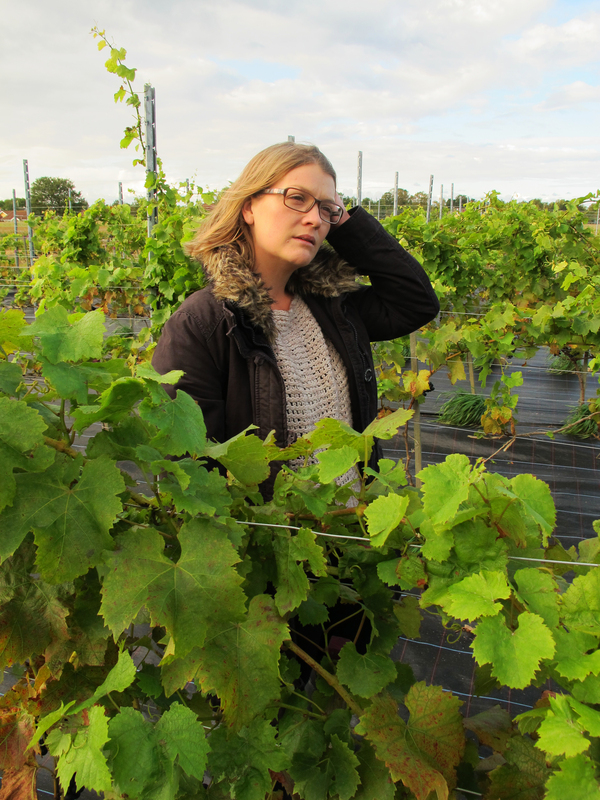 Their aim is to produce an organic, distinctly Scandinavian wine using traditional methods. 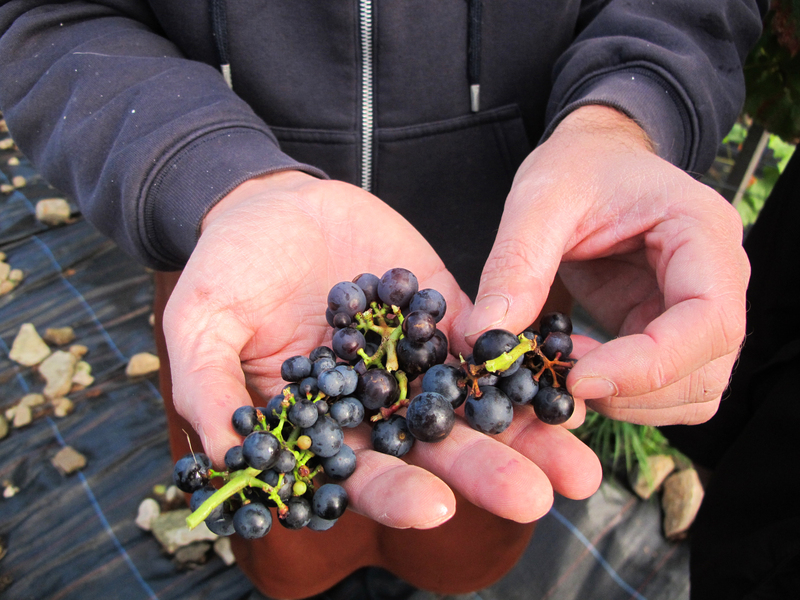 They don’t use any pesticides or fertilizers, harvest by hand, and even stomp the grapes by foot. As much as I liked the romantic idea of returning the following weekend for the harvest and to do a little stomping myself, Nina’s description of how cold it is to wade around in a frigid vat of grape juice made me think twice. But I suppose in a country where taking a hot sauna and then jumping into the icy winter sea is the norm a little chilly grape stomping would be a cake walk (no pun intended). The vineyard concentrates on red wine grapes in the varieties of Regent, Cabernet Colognes, and Cabernet Vineta. The property is an old farmstead where they hope to open a production house and tasting room that will be open to the public. Unfortunately Sweden’s current alcohol laws don’t allow for that to happen. A vineyard can only sell wine if they are commercially licensed and have a restaurant on-site with a permit to sell alcohol. And then they can only sell wine to be consumed on-site. They can’t even offer free wine tastings and buying a bottle to take home is not currently allowed. A commercial wine producer can’t even drink a bottle of their own wine, or even give it away, without paying for it themselves first. 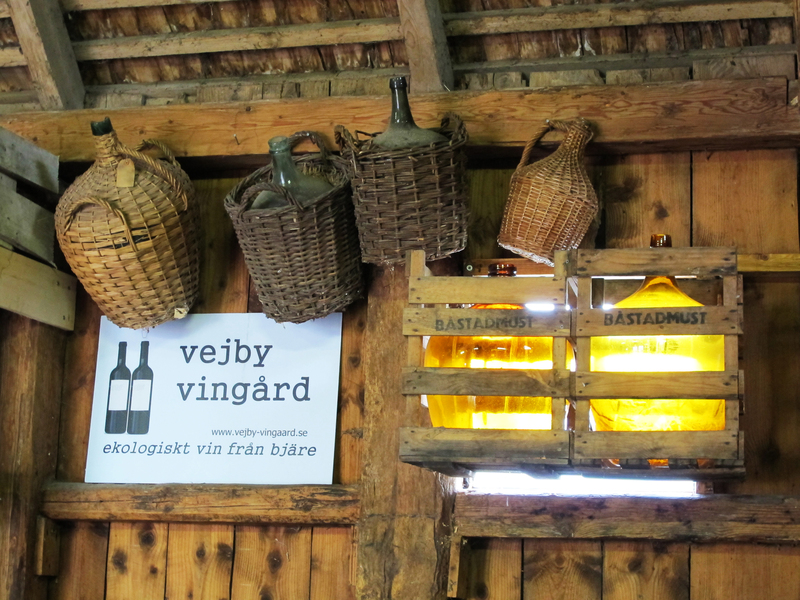 This is all rather complicated, but Swedish wine industry advocates are working hard to persuade the government to change the laws so small operations like Vejby Vingård can open their doors to the public for wine tastings and purchases to take home. In the mean time, although the Appelins are in support of the change in the laws they are in no particular rush as they experiment with their test wines and work on the renovation of the old stables and barn into their dream of an estate winery. When we were there it was just a week before the anticipated harvest. 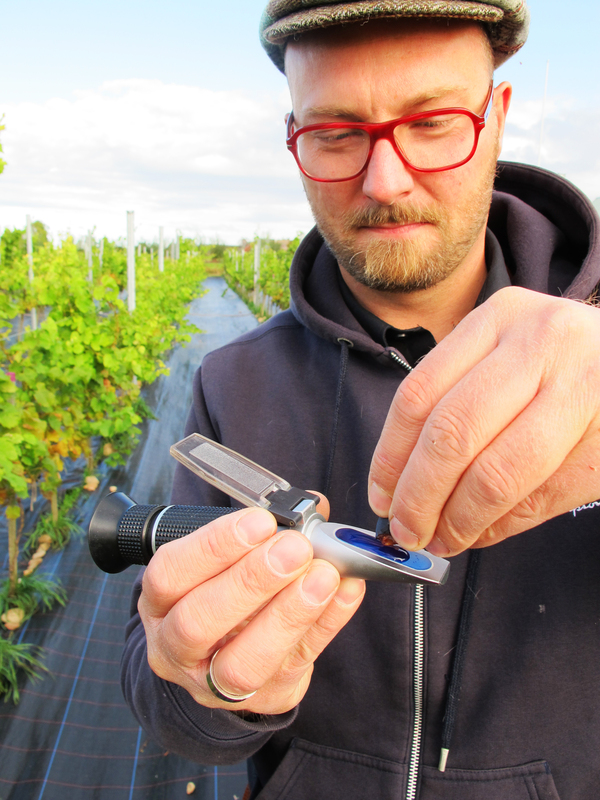 Jeppe showed us how to test the sugar levels in the grapes with this nifty little gadget to determine the optimum time to harvest. I have no idea how this really works, but by squeezing a bit of grape juice onto this device and holding it up to the light you can read the sugar levels in an individual grape. 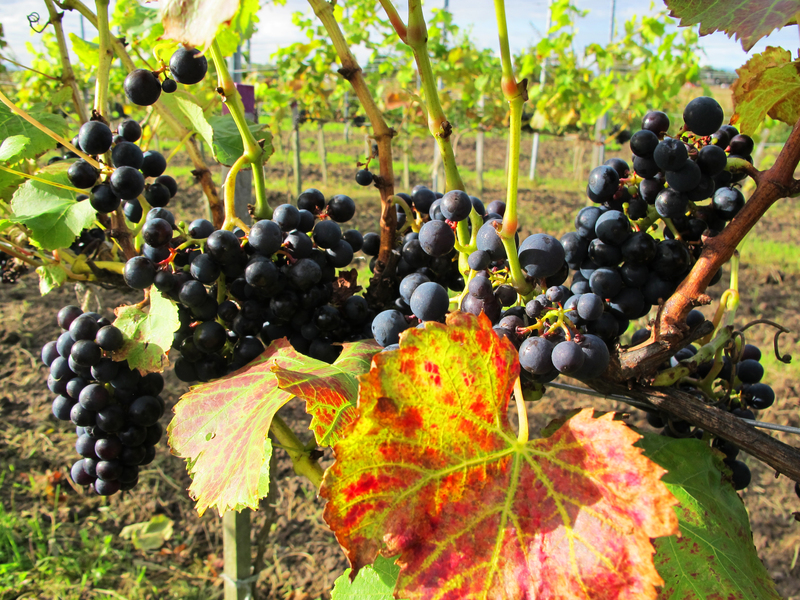 The vines at Vejby have now seen their fifth growing season and should be mature enough to produce quality wines. Jeppe showed us the three different varieties and Nina explained the importance of restricting the growth of the vines to maintain high quality grapes. 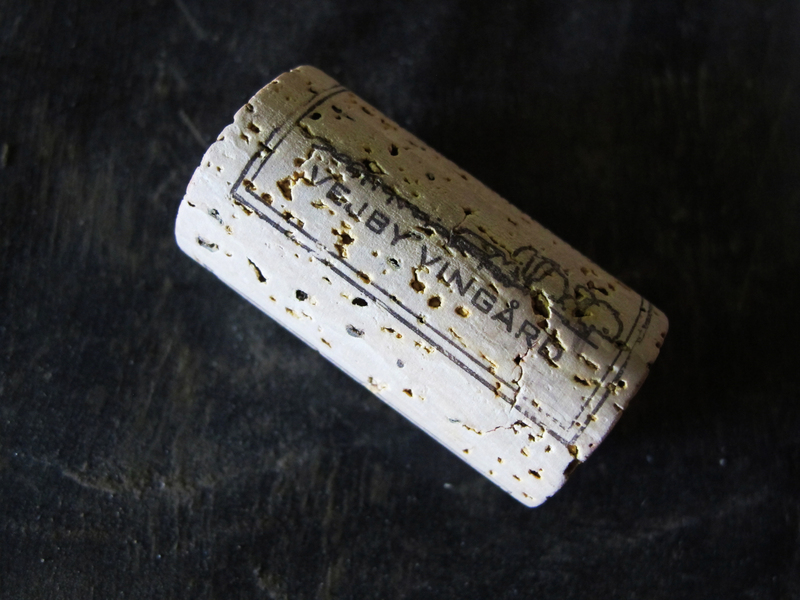 Each vine essentially produces one bottle of wine so with their 2,000 plants Vejby Vingård will churn out around 2,000 bottles of wine each harvest given favorable conditions. 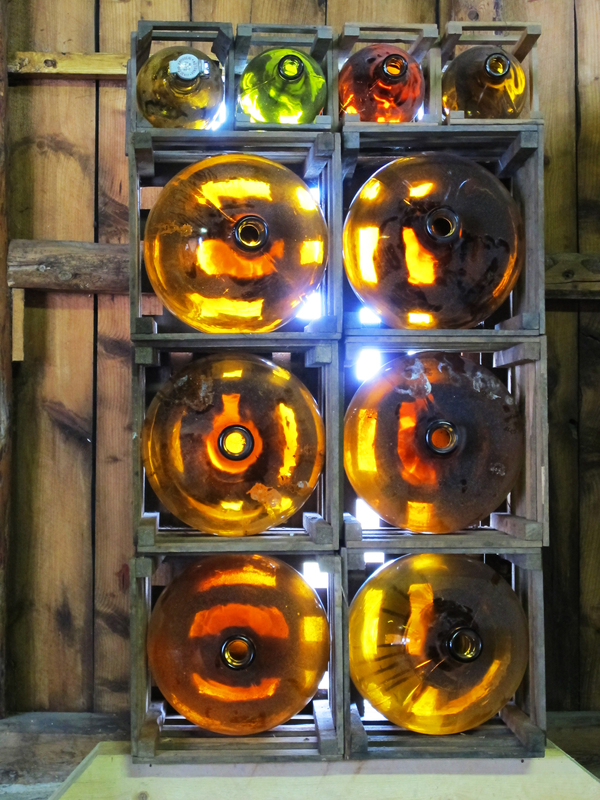 For now they use glass casks to produce their test wines but in the future they plan to use Swedish oak barrels. Vejby Vingårdäs first test wine is a 2009 Regent that we had the pleasure of tasting (they aren’t commercially licensed yet so this was possible) and I can tell you that although those grapes were technically ‘immature’ for producing wine, my husband and I were impressed. There is no doubt in my mind that Vejby Vingård holds great promise for high quality wines produced in a dynamic setting. Their tasting and production room aren’t really at the photo-ready stage but it was easy to see the potential. And when you have two talented architects working on it together it’s bound to be something special. Based on what I saw at Vejby Vingård and their goal of creating uniquely Scandinavian, organic wines I am really looking forward to the day that the stringent liquor laws in Sweden are changed and they can open their doors to the public. Many thanks to Nina and Jeppe for sharing their vision and I wish them all the best for the future of their vineyard. This entry is making me miss both Sweden and wineries. I’ve only been to one winery and it was such a fun experience. Have you been to Sweden? I love visiting wineries. It was such fun to go out on the weekend for a wine tasting when we lived in Oregon. I’m looking forward to the day we can do that in Sweden too. Does any of that wine make it to the US? Hey Jim. 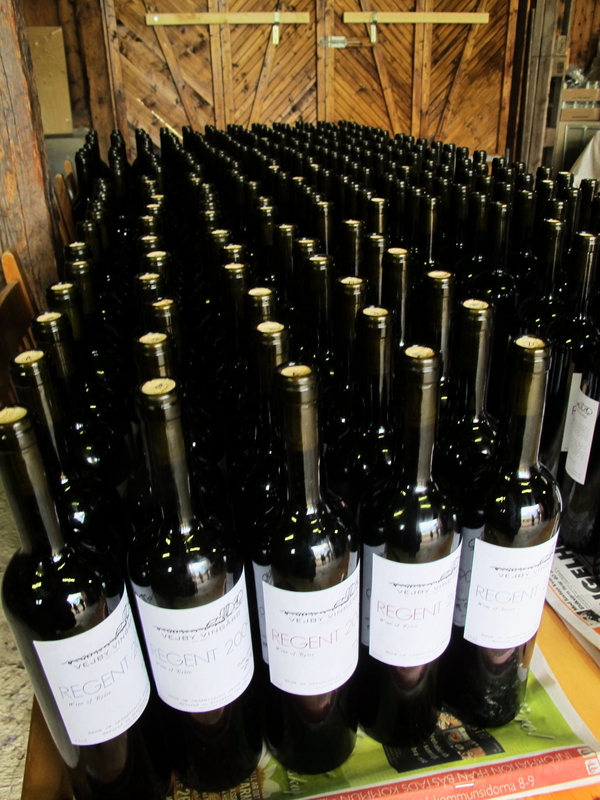 It’s complicated for wines to be shipped internationally as well, but I believe that a few vintners are doing it. I’ll see if I can find out anything more and get back to you. I hope all is well in your neck of the woods. I love this blog and the photography real captures a warm feeling of this vineyard. I also love gadgets and would love to know more about the small yet amazing gadget he used to test the sugar levels in the grapes. Thanks Zelda, I really appreciate your comment. I don’t remember what the name of the gadget is, but I’ll ask and get back to you. I had great aspirations of getting to your pasta making class, but looking at my schedule for the next couple of weeks I am swamped with tests for Swedish class. Bleck. No Sunday pasta-making fun for me. 😦 Hopefully it will be a big hit and I can catch the next one.